Am I hitting my daily word count? 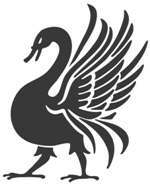 At time of writing (12 September) my word count stands at 18,351, which is 6,351 words (or six days) ahead of schedule. 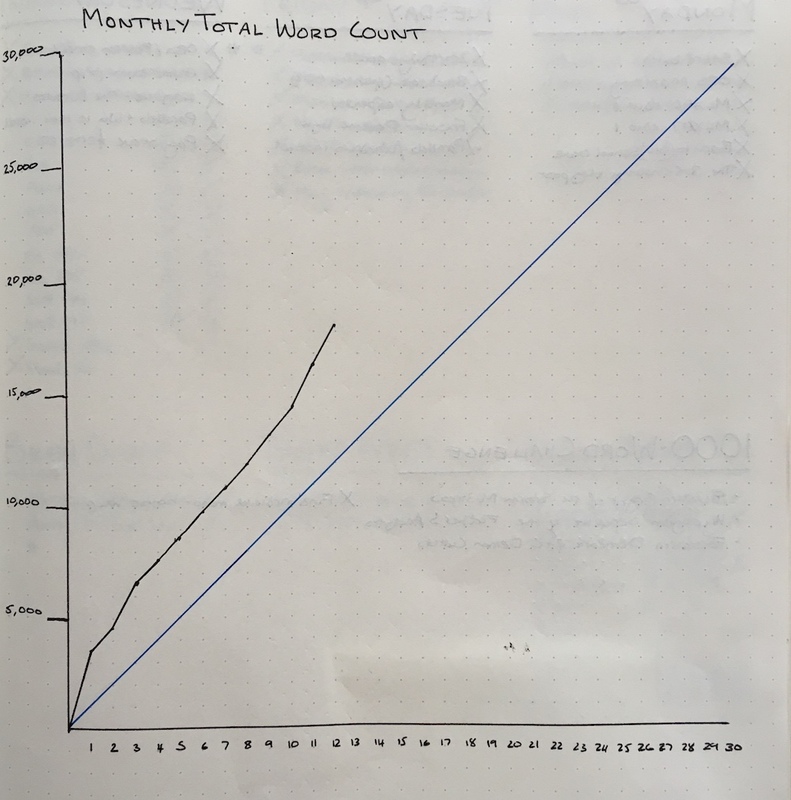 Put another way, I’ve averaged 1,529 words a day. I’ve found filling in this graph very motivational—I’d rather scratch my eyes out than have the black line (my progress) dip below the blue line (the daily target). I hate being late or behind so I’m chuffed to have some days in the bank. (As an aside, I’m a very target-orientated person—I absolutely work best when I have a deadline or target.) I’m also particularly happy because I’m still doing everything else I normally do in regards to life and Raging Swan Press. But word count isn’t the be-all and end-all (although—obviously—it’s a pretty central part of the challenge). What’s more important is that I’m having fun—which I am! It’s a blast sitting down every day to bang out 1,000 (or more) words. I’m writing this for my campaign first (and publication second). Hopefully, by the end of the month, I’ll have the complete first draft of an adventure I can playtest with my chums, which is handy as my Adventures in Shadow campaign is imminently restarting! I started this project with only a vague idea of what the final adventure would look like. Essentially, my only source material was the write up of the Alanen family manor from Village Backdrop Greystone. While I still don’t have a final vision in mind, I’m getting a lot closer as the month goes by! Not following a set synopsis or vision has been quite liberating. On any given day, I’ve simply written what I fancy writing. Some days, I work on describing the various encounter areas in the crumbling manor while on other days I slave away over stat blocks. The downside to this scheme is that I’ve already designed a lot of the “low-hanging” fruit. As the month goes on, the design will get harder. For example, I’ve got some sinister traps and effects for important areas to design and I don’t yet have a clue about how they’ll work. One weird thing I’ve noticed is that as I get to the harder pieces of the design—things that don’t seem to just slither out of my brain, the compulsion to write something else grows! I guess this is my brain’s way of trying to avoid hard work. On the plus side, I’ve had ideas for another three adventures. On the negative side, I can’t write them at the moment—if I start them, this project is doomed! One strategy I’ve found useful in hitting word count is to decide at the end of the writing day what I’m going to write the next day. For example, tomorrow is gargoyle stat block day or treasure write-up day. Doing so seems to dump the subject in my subconscious which then gets to ruminate on the subject overnight. Go subconscious! As you might know, actually drawing maps is only of my biggest problem areas—my drawing skills are terrible. At some point in the near future, I’m going to have to create rough maps of the manor and the locales beneath to pass onto the mega-talented Tommi Salama. Even worse, the maps won’t count against word count! Got Design Advice For Me? Have you got any hints or tips to help my design? Please let me know, in the comments below. Hey there, Creighton. I trust you and yours are all doing well. Just wanted to write a quick note to you in regards to what you are accomplishing and your current progress… GREAT WORK!!! Keep it up and before you know it, you will be done (and well ahead of schedule). Oh! And as far as the mapping goes, not sure how phenomenal your guy is, but I know of a guy on the facebook D&D forums by the name of Michael Sincevich from Uncharted Territories whom is an amazing and quite compelling map maker 😉 If you check out one of his latest posts created a day ago or so (in which he has drawn out a map in 15 minutes called The Dread Marsh), you will be able to clearly see that this guy has a gift =D Michael may even be willing to do some work for you pro-bono so that you might advertise him and his awesome talent. It’s worth a try, in any event. 😉 One last thing: I’ve decided to join the ranks of your patreon subscribers because I really like your dedication and find you to be very motivational =D Have a great time with what comes next 😉 Cheers! Thank you so mush for joining up to the Patreon, Bradley! That’s awesome and I’m very grateful to have you on board! 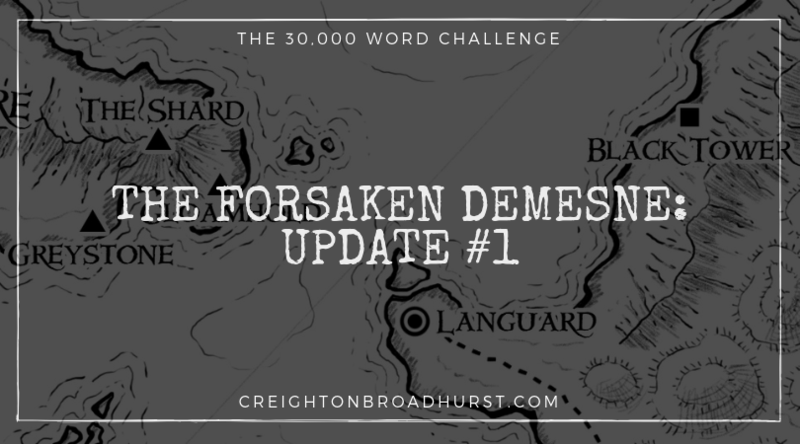 I like the name, the Dread Marsh and I’ll check out Mchael’s work, but I won’t use him for this project–Tommi has done all my Gloamhold maps and I’d like them maps for the adventure to match that style. Thanks for sharing this. Keep up the great work! This idea, I like very much. How about 800 words = one full page map? I like that! It’s not too terribly much word count, and is the equivalent to a stout stat block. So great that you are well ahead of your goal and that you are sharing your success, anxieties and other elements of this with us. Can’t wait to hear how the rest of the process goes! You can do it!!! And when you do, please share with us! Another ask…now that you are broadening your writing skills, pour these into your campaign journals and write ups. I truly love reading those and if you could add more detail to those, I know I’d appreciate it and I’m positive it would help me to be more creative with my own games. When we restart our Adventures in Shadow campaign in a couple of weeks I will definitely do so. I love writing up our sessions, and have missed it while we play other things. Thanks for the kind words, Cory!